You are at:Home»Core ETF Channel»Can a Dovish Fed Keep the Stock Market Rally Afloat? The Dow Jones Industrial Average could be facing its third straight loss on Wednesday after losing over 270 points the last two sessions as investors digest the reality of slowing global growth. While the majority of markets are hoping for a U.S.-China trade deal, the other saving grace for the markets to keep the 2019 rally afloat is a dovish Federal Reserve. However, with volatility returning to U.S. equities ahead of first-quarter earnings reports, how patient can investors get? Through Tuesday’s close, the markets are still roaring–the Dow is up 12 percent, the S&P 500 up 14.81 percent and the Nasdaq up 19.20 percent–but will that turn into a purr as 2019 wears on? “March month-end marked the end of a substantial first-quarter rally in both stocks and bonds. 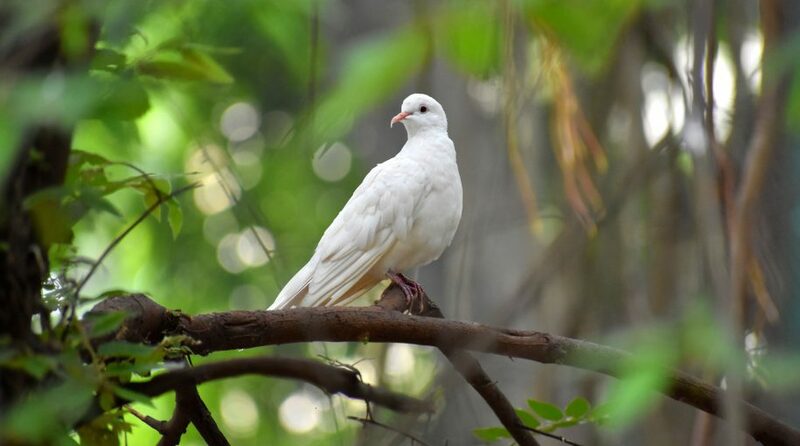 Investors are wrestling with the question of whether dovish central banks will be sufficient to sustain the equity rally, even as economic growth may be slowing,” wrote ProShares global investment strategist Simeon Hyman in the new summary, First-Quarter Rally: But Will It Be Sustainable?. The reality of a slowing growth was made even more apparent as the International Monetary Fund cut its global growth forecast to the lowest level since the financial crisis, citing the impact of tariffs and a weak outlook for most developed markets. According to the IMF, the world economy will grow at a 3.3 percent pace, which is 0.2 percent lower versus the initial forecast in January. This falls in line with other weak forecasts for growth. Furthermore, Hyman pointed out that profit margins may have reached a ceiling, which could be evident when big banks start reporting their earnings this Friday. 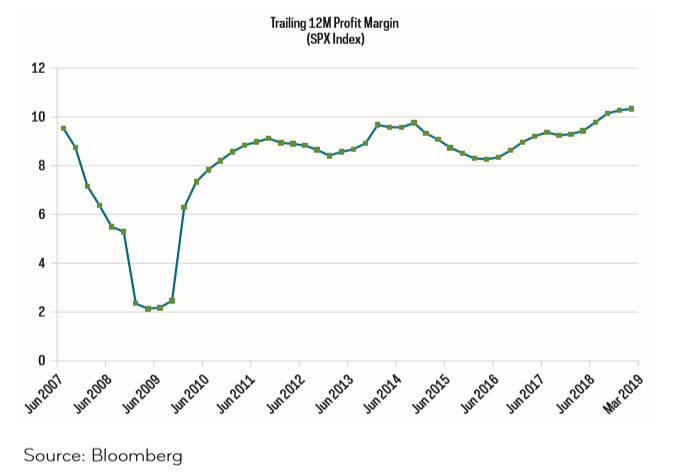 The following chart shows that trailing profit margins may have finally run out of steam after a decade-long climb. In addition, the rally in equities was also boosted by a fair share of share buybacks. Like nitrous oxide to a gasoline engine, this gave companies the ability to increase their share prices–a practice that has been called to question. However, will this be enough to keep the rally going? The notion floating around the capital markets is that the Fed will more than likely keep rates unchanged for most of 2019, but a rate cut also remains in the realm of possibilities. According to the CME Group’s FedWatch Tool, rates are forecasted to stay steady through the summer, but the possibility of a rate cut gets higher as the we head towards the fourth quarter. Click here to read the full report by Hyman.